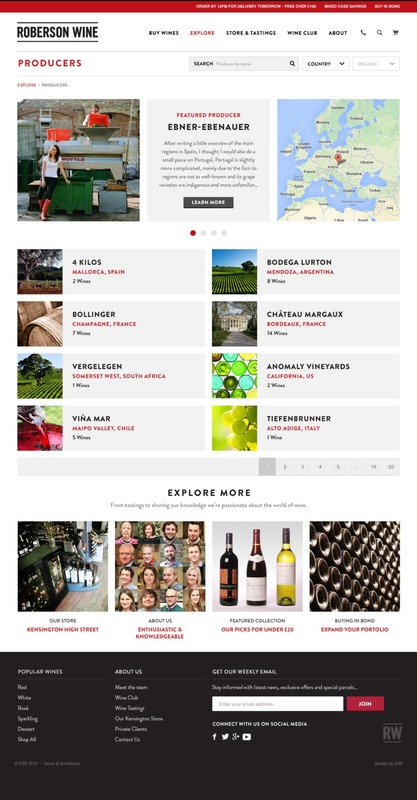 Roberson Wine is an online fine wine merchant based in London. 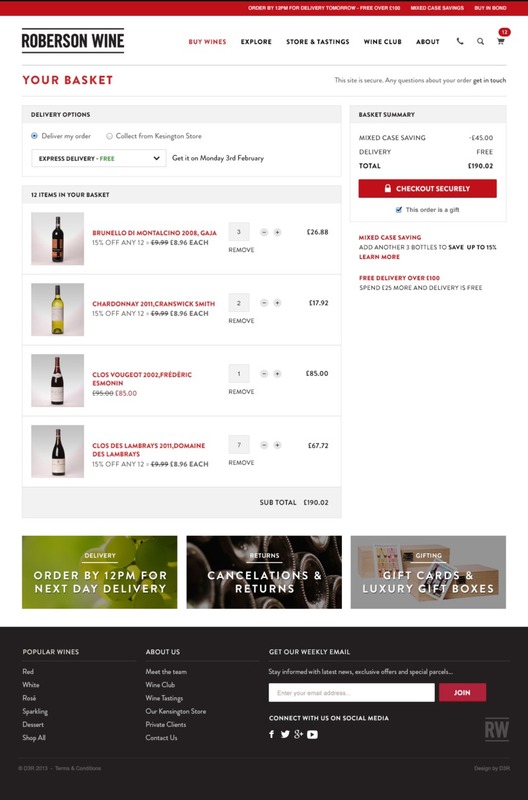 Established in 1991, Roberson Wine specialises in wines from France and California, selling online to private individuals and wholesale to restaurants and off-trade businesses. We consulted with Roberson and created for them a new brand logo to re-affirm their ethos and core values, helping to position them as more contemporary and accessible in contrast to the more traditional and conservative wine merchants of St James. Re-appropriating some of the established consumer-facing site layout, the new Roberson trade site is now seamlessly in-line with the new branding, has trade customer accounts, a deliberately streamlined view of the product catalogue, customer specific-pricing and favourite items allowing quick and straightforward re-ordering online.